5. 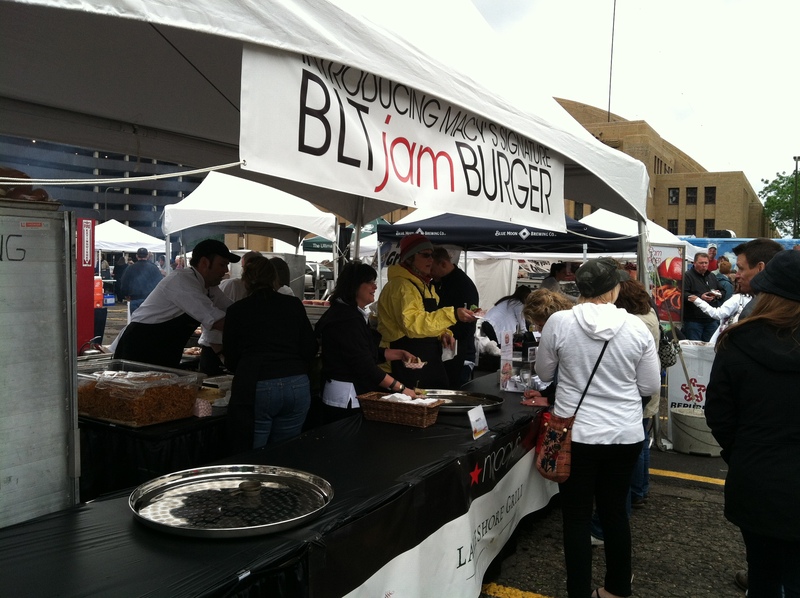 Macy’s new BLT jam burger (pictured above). Not a huge fan of bacon myself (que the shocked gasps) but on this burger it worked. Topped with crispy onion strips, cheese, lettuce, bacon and tomato jam it was a nice twist on both the burger and the BTL. 4. 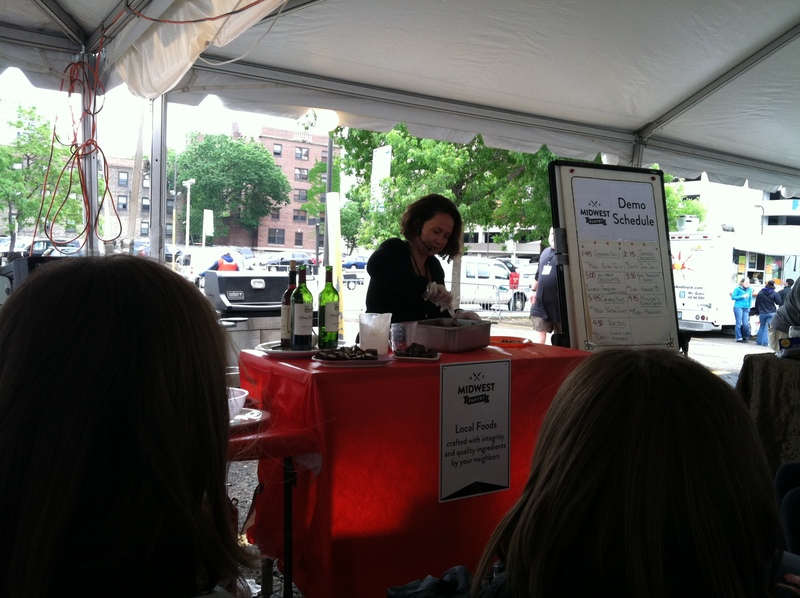 The local foods tent. Special shout outs to Malone’s Simply Syrups for their ginger simple syrup, and Groveland Confections for their mini session on chocolate and the amazing red wine ganache they made on the spot. 3. The beef brisket from Prom Catering. Super tender and juicy, this brisket stood out from the crowd of pork sandwiches with its tangy sauce. Definitely a highlight. 2. Crispin. I do not understand how I haven’t had this until last Sunday. Those who know me personally know my love of fruity drinks and greater love of sparkling (non-alcoholic) cider, so why haven’t I tried Crispin before now? YUM! New summer drink of choice. 1. 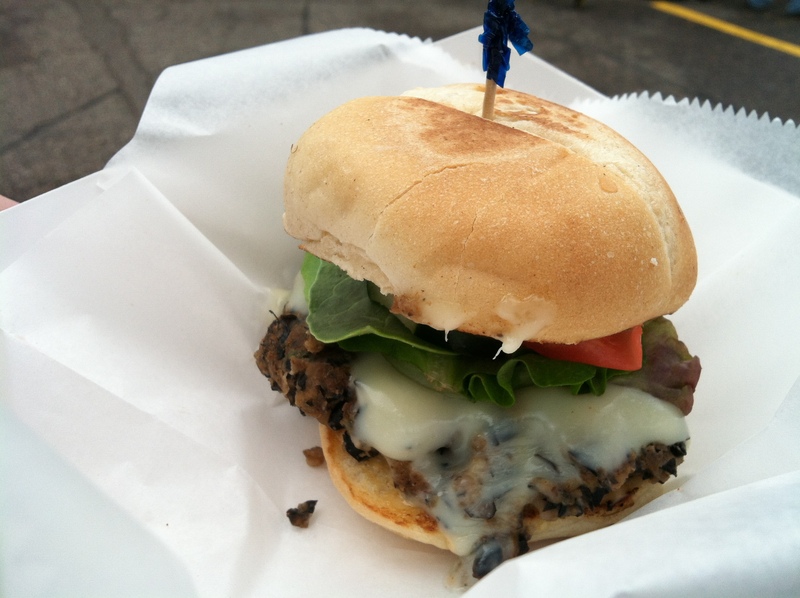 The black bean sliders from Simply Steve’s food truck. I recently made some black bean burgers (soon to appear on this very blog!) and while they were a solid 8/10, they paled in comparison to these black bean sliders. While the other food trucks offered tasty variations on meat and BBQ sauce, Simply Steve’s brought a creativity to the event that was refreshing. After so much meat, it was wonderful to taste something that had been grilled but was a little more outside the box. Loaded with fresh veggies, these sliders packed a complex flavor profile to satisfy meat lovers and vegetarians alike. I will definitely be visiting Simply Steve’s in the future! This entry was posted in Uncategorized and tagged bbq, Beef, black beans, Chocolate, event, GrillFest, grilling, meats, pork, pulled pork, review by theculinarycapers. Bookmark the permalink.